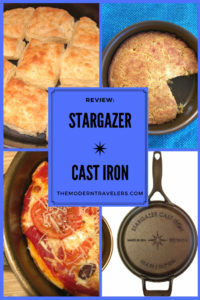 My obsession with cast iron skillets has led me to this beautiful Stargazer Skillet. Look at it. Don’t you love that star on the helper handle? It’s even more beautiful on the bottom where you can see the date stamped as well. I love that retro-ish starburst, it’s that little bit of detail that really gives it personality and makes it seem like art to me. 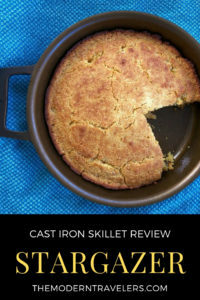 Now why do you want a cast iron skillet? 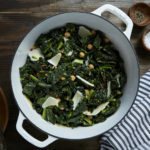 Because everything tastes better in cast iron. It just does. Since I’ve started cooking with cast iron, my food has been off the charts delicious like never before. And I’m enjoying cooking and baking more than ever. Also, it’s naturally non-stick and won’t leach toxins into your food like other cookware. This is important to me. 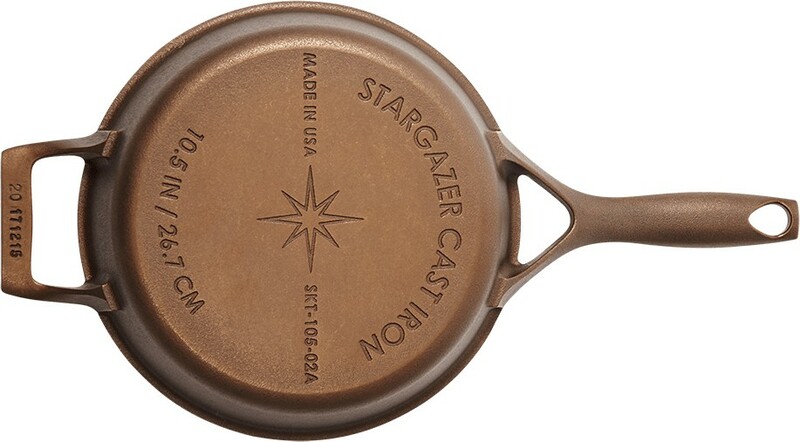 The Stargazer skillet has a couple of functional design details that set it apart from other skillets. First of all, this is a high end, machined skillet, meaning the cooking surface is smooth as silk and non-stick straight out of the box. The kind of skillet your grandmother had. 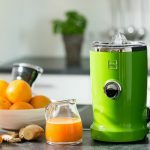 The handle is designed to stay cooler while you use it on the stovetop, and it works. The ample helper handle makes it easier to get leverage which is especially nice when you have weight in the skillet. Speaking of weight, the 10.5″ Stargazer weighs in at 5.2 lbs, which is manageable and lighter than most skillets this size. Be generous with oil the first few times you use it. 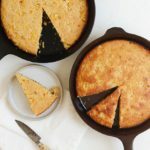 Cornbread is a great way to break in your skillet. This is the first thing I made, and it came out perfect. 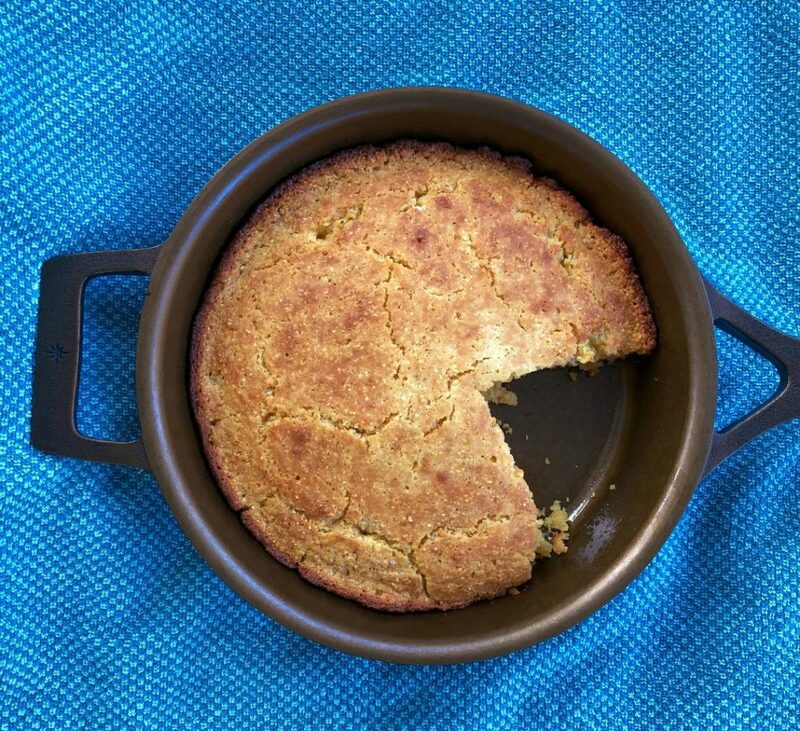 All I did was wash the skillet with hot water and a non-perfumey, non-toxic eco-soap soap (the only time I will use soap with the skillet), place in the oven to heat up while I made cornbread batter, apply butter to bottom and sides and voila! 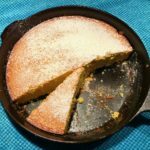 The skillet was completely non-stick and the cornbread tasted wonderful. 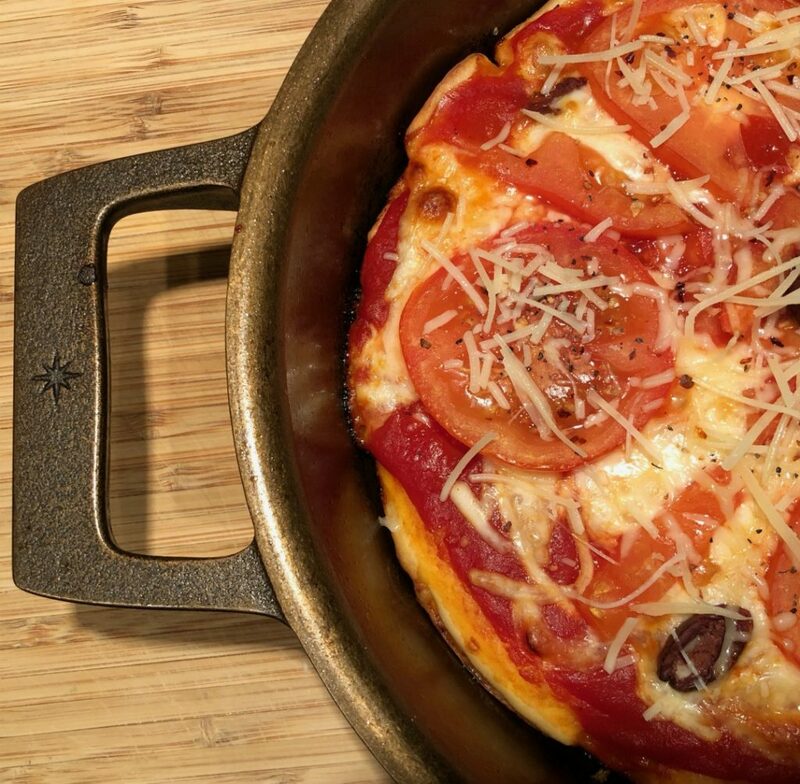 Have you ever had skillet pizza? It’s easy and delicious. 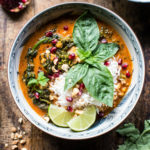 After you taste it, you won’t want to ever go back to frozen pizza, and there’s no reason to because it’s so quick to make, it’s worth the couple extra minutes. You can make your own pizza dough, but I just used a Trader Joe’s pre-made dough. I keep a couple on hand either from Trader Joe’s or my local food co-op. Pizza dough is cheap, under $2! I also make a point to always have homemade sauce. pizza sauce is important, I don’t skimp on that, I make my own from organic tomatoes and always have some on hand. I can throw a skillet pizza together and have it on the table within 20 minutes. Combine that with a salad, and you have a wonderful meal. We eat this at least once a week. We actually aren’t breakfast people. But we love breakfast food and brunch. 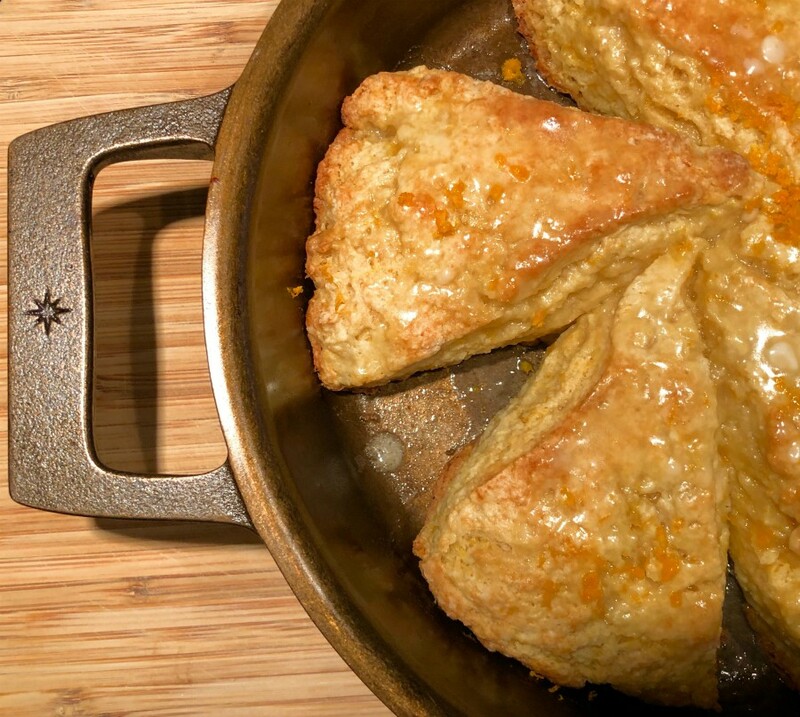 You have to have a cast iron skillet if you want to make real buttermilk biscuits. Seriously. 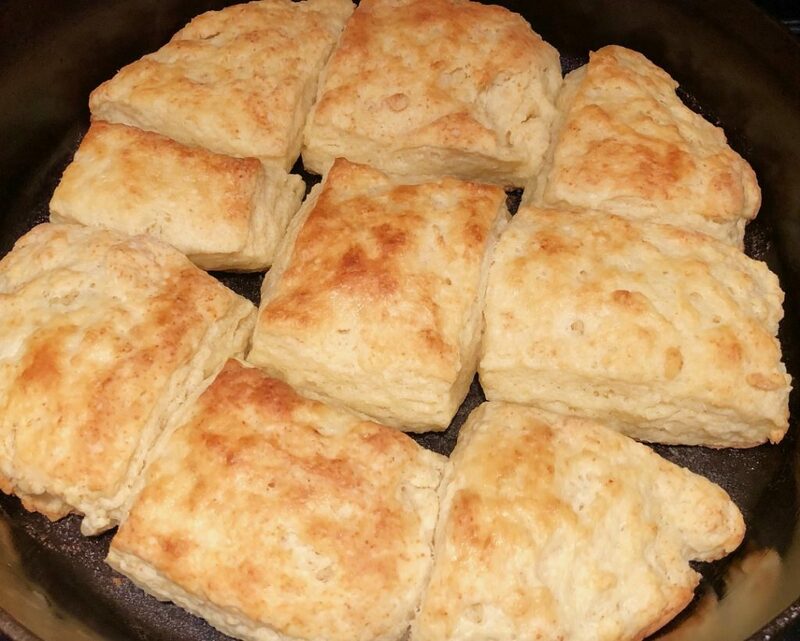 And I’m very serious about my biscuits, I was raised with a grandmother who made the best biscuits on earth. I never thought I could come close, but amazingly I have! The bottoms are so crispy and the insides are fluffy and buttermilky. Here is a tip I just learned: instead of cutting your biscuits into circles, cut them in a grid. This way, they are even fluffier and rise higher because the less you work the dough, the better. 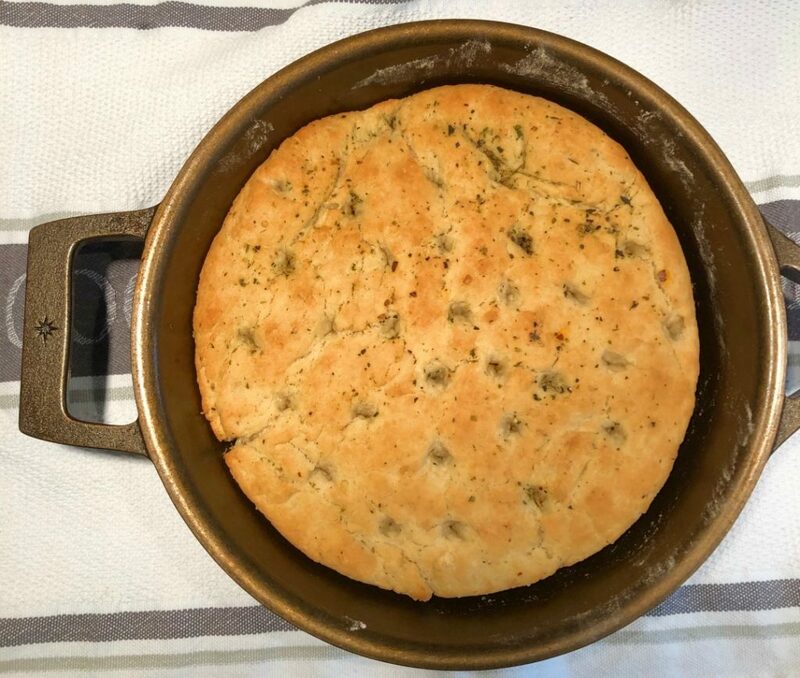 I figured out that if I shape the dough into a circle a little smaller than the size of the bottom of the skillet, I can then cut the dough into a grid and lay it out in the pan. 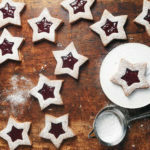 I do like a round biscuit, but the difference in texture is enough for the change. 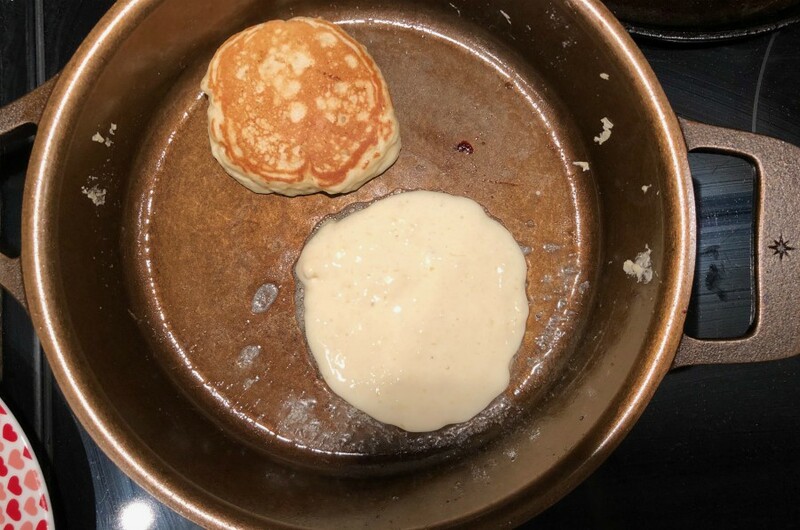 My pancakes slid around in the skillet better than my non-stick pan and came out with the outsides nice and browned with fluffy insides. This is the beauty of a skillet for me, I like crispy food, but that maintains its integrity. Biscuits are supposed to be fluffy, and so are pancakes, and they are–but with the bonus of a crispy outside. I just can’t get that with any other cookware. The skillet is consistent and reliable. Safe and Non-Stick without nasty chemicals that can leach into food. Handle designed to stay cooler longer for stove top cooking. Pours from anywhere, no pour-spout needed. Appropriate for camping and outdoor, open fire cooking. Affordable! The 10 inch skillet is only $88 pre-seasoned. I’m of the mindset that you need a few cast iron skillets in different sizes. That way you always have a skillet that fits the bill perfectly for what you’re trying to prepare. 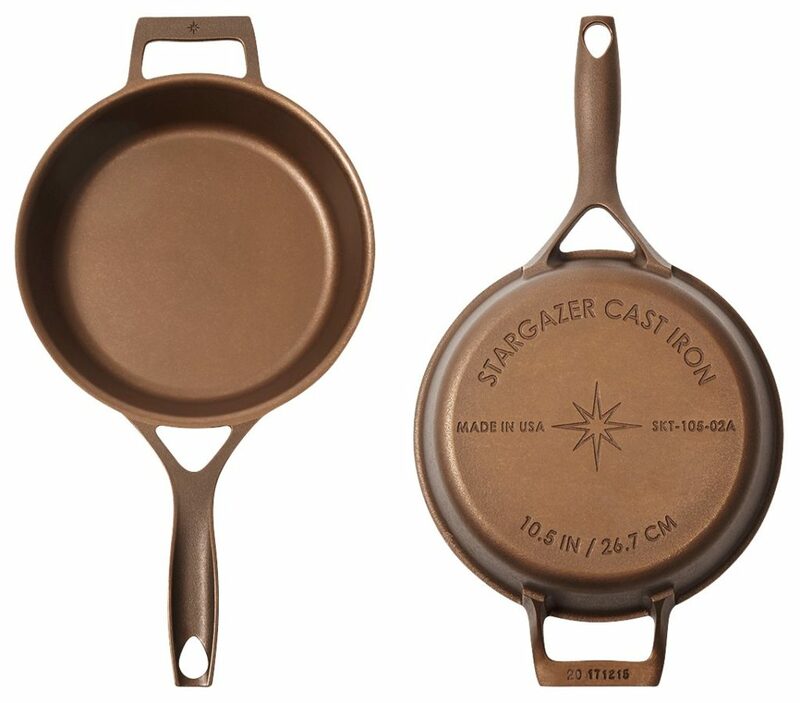 The Stargazer should be one of your skillets because it’s as functional as it is beautiful. My number 8 Field Skillet fits perfectly inside this 10 inch Stargazer. Even the handle nests perfectly in the halfpipe Stargazer handle. When my son and I make skillet pizzas, we no longer have to fight over toppings, we can each make our own and it becomes more of an event and pizza night. 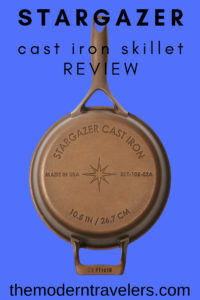 The Stargazer, as far as I can tell, is the most affordable high end machined skillet out there. Find out more and get one for yourself on Stargazer’s website HERE. I hadn’t heard of Stargazer before. So excited to learn about them. I love cast iron!